GSA has been hearing from our community about their experience with the Maximizing Investigators’ Research Award (MIRA) program from NIH’s National Institute of General Medical Sciences (NIGMS). Although there’s almost universal support for the goals of the program—providing a greater degree of flexibility and stability for investigators—and for the application and review process, there is significant disagreement about whether MIRA is achieving its promised aims yet. MIRA is designed to support a lab’s entire NIGMS-funded research program, meaning that PIs apply for one award, rather than separate R01s for individual projects. The slimmed down proposal doesn’t ask for specific aims, so investigators are free to follow new directions and take advantage of opportunities to pursue interesting lines of study. 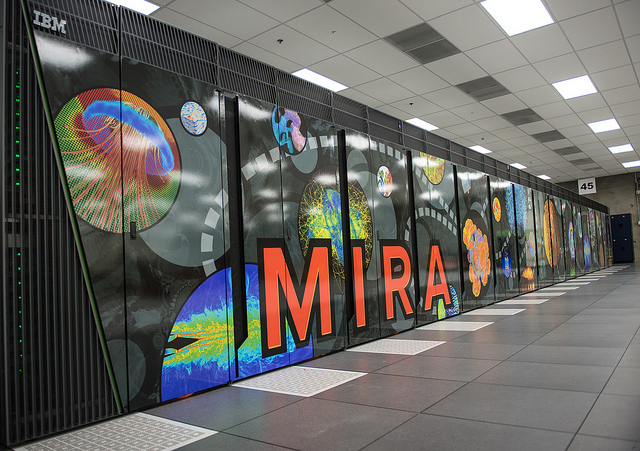 Rather than focusing on preliminary data and the minutiae of planned experiments, the review of MIRA proposals focuses on the promise of the researcher and their previous creativity and productivity. The program is also designed for increased stability. MIRA awards are all five years in duration—longer than the four-year term for most NIGMS R01s—and there is a promise that awards will generally not be cut off entirely at renewal. Budgets may be scaled up and down, based on performance, but the grant is expected to continue at some level. The tradeoff for these benefits is that MIRA awardees would likely receive less funding than they would with several R01s, and awards are capped at $750,000 in annual direct costs, which is also the level for NIGMS’ Special Council Review Policy. When it launched the program in January 2015, NIGMS started with a small target group: those who have two or more R01 (or equivalent) awards or a single NIGMS award of at least $400,000 in direct costs—at least one of which was due to expire in fiscal year 2016 or 2017. (A separate funding opportunity announcement for new and early stage investigators was issued later in the year.) Because of NIH rules, investigators with an expiring R01 had to choose whether to apply for MIRA or to submit the standard R01 renewal; they couldn’t have the same research under review simultaneously for two separate programs. To address this challenge going forward, a new funding opportunity announcement (FOA) issued in March 2016 broadens the eligibility window so that investigators have an extra opportunity to apply for the MIRA before their R01 is up for renewal. This allows even more PIs the opportunity to still apply for R01 renewal if their MIRA application is unsuccessful or if they decline the award. While this change is helpful for those applying in the next round, it does not address the concerns of some of those in the pilot round, as noted below. NIGMS reports that 710 investigators were eligible to apply in the first round of MIRA awards, and 179 submitted applications. At least 115 were offered a MIRA grant, with an average 12% decrease in funding from their previous NIGMS support. When GSA started receiving anecdotal concerns about MIRA, we proactively reached out to our members who have current NIGMS support to find out their views. Several themes emerged from the responses received. First, there were a number of people who were very happy with the MIRA program and are delighted to accept the award. They generally felt that the program’s benefits more than made up for any decrease in funding. I was very happy to trade less funding for more stability of funding and more flexibility to pursue new research directions. In particular, this stability allows the PI to make longer-term plans, especially with regard to personnel. Having a MIRA will allow me to make commitments to new postdocs even toward the end of a grant cycle, knowing that my budget is highly unlikely to disappear in one fell swoop. Respondents also found MIRA freeing, noting the R01 mechanism had led to more conservative research. They appreciate the opportunity to follow up on unexpected findings, rather that being under pressure to stick to original aims. What I really like is the freedom it gives me to work on what I choose, no matter where the science leads me. Several also pointed out the benefits to the community, rather than just to themselves. If smaller awards means that more people get funded, then it is a circumstance that I can live with. Despite these positive comments about the MIRA program, GSA received responses from even more individuals expressing shortcomings, based upon their own experience. The most cited concern was the reduced level of funding. Although NIGMS had prepared PIs that “the amount of a MIRA award will be somewhat less than the sum of all recent NIGMS support,” what this meant had not been defined. While NIGMS had never claimed that labs would be able to remain at steady state, it seems that many investigators expected to be able to maintain their status quo under MIRA. One certainly appreciates that specifics could not be provided as the NIH did not know what its budget would be. However, past experience left me quite concerned that the cuts to investigators’ annual budgets might be too severe for labs to be able to continue doing their science at the current level, and that people might have to be laid off. Unfortunately, that seems to be what happened for some. We heard from several applicants who received glowing scores from the reviewers, but felt “blind-sided” by the level of funding offered. Despite the reported 12% average decrease in support, some of those responding noted they were experiencing cuts of 20% or more. NIGMS has suggested that funding levels were based on a number of factors, including recent NIGMS funding history, support from non-NIGMS sources, and input from the study section and council. Even though MIRAs are not intended to support specific projects, several PIs felt that they wouldn’t be able to pursue the research directions proposed in their application. A number of people noted they would have to lay off members of their lab and seek additional support elsewhere. I don’t know how I can expect to run my lab on what the NIGMS proposes to provide under a MIRA. I will have to lay-off two people and have reduced supplies for my lab. The project, which was enthusiastically reviewed by the panel, will not be able to be executed. Although I appreciate the goal of wanting to ‘spread the money around,’ if it becomes too thin to execute the work, and forces investigators to apply for more money, NIGMS will get much less return on their investment than if they were to give fewer investigators closer to what is actually needed. I really just want to get back to having fun doing science, but I have never been so demoralized with the US funding system and in many ways I feel like I am just holding on so that I can retire…[with a full] benefits package. Depending on the timing for their R01 competitive renewal, some applicants had to choose between applying for the MIRA and submitting a renewal—which meant that some MIRA applicants had to give up their current R01 (this has been addressed to some extent in the new FOA by broadening the time to apply for MIRA). It should be noted, however, that R01 renewals are, by no means, a sure thing—so some fraction of those applying for renewal would have had their current grant cut off. Nonetheless, some individuals are left with the prospect of either accepting the MIRA—at a lower level of support—or have their funding curtailed entirely. Since I was not allowed to submit any competitive renewal applications or new applications during my MIRA application, I have no choice but to accept this very low budget MIRA award. The worst part is that once I accept the MIRA, I cannot apply for another grant in NIGMS and will have great difficulty in getting grants from other NIH institutes. I accepted the MIRA because my other R01 was going to expire and the loss of funding would be worse to me than downsizing with the MIRA. As for accepting the MIRA award, I really have no choice. If I decide not to accept, then my current R01s will terminate and run out of funding before any new applications could be reviewed and funded. If I declined the award, I would be out an entire R01 for at least nine months, which would be much worse than the 12% cut. I have been forced to accept the award because otherwise the funding shortfall would be unacceptable. In the end, I had no viable option other than to accept the MIRA and try to move forward. The funding challenges are especially acute for those at medical schools and soft-money institutions who are expected to recover a significant fraction of their salary from external grants (which is, of course, not limited to MIRA). The policies on this are actually somewhat complicated as MIRAs require investigators to devote at least 51% of their research effort to MIRA (not total effort, as may be more customary); this means that time spent on teaching, administrative, or clinical duties is not included in the calculation. But PI salary support can still have a significant impact on the budget. For example, consider a PI who requests 50% of their salary—as mandated by their institution (not by NIH). If their budget is then cut by 12%, the impact on the rest of the grant—which supports students and postdocs, supplies and equipment—would be quite severe. The need for investigators to submit additional funding proposals to make up the difference between current and MIRA support is especially concerning to some, because one motivation for MIRA was to decrease the need for PIs to spend writing applications and managing multiple grants. Given the long time of the review process, my funding is even more unstable than it was previously since I was not allowed to apply for a renewal while the MIRA was under consideration. For this reason, I plan to submit three different grant applications this year rather than risk another eight months while a MIRA is being considered. I and others in my situation will be obliged to spend time seeking support from agencies where our work is likely to be less relevant than it is at NIGMS. Additional concerns about MIRA include the difficulty of supporting collaborative work, the short timeline for relinquishing funds already committed through previous grants, and the challenge for labs with diverse projects that can be hard to incorporate into a single proposal. To be sure, the MIRA program was never intended to fit the needs of all investigators, and NIGMS has indicated that its R01 mechanism will remain. Others worry that with the expectation of a high renewal rate for MIRA grants, it will be hard for those who do not receive a MIRA early in their careers to enter the system later on. Finally, respondents repeated some of the concerns that had been expressed when the program was first proposed, including the danger that these awards will be concentrated at only a few institutions—especially for early stage investigators without a significant track record. In hindsight, I would not have applied for the MIRA, but applied instead to renew one of my R01s that was due at the same time. After going through this and learning the real nature of this MIRA program, I would not recommend this program to any established investigators. I do understand the concept of the MIRA and I support MIRAs, in principle…. However, based on this experience I cannot recommend MIRAs to my colleagues without some adjustments to the program. NIGMS continues to encourage members of the community to share their perspectives about MIRA or any other programs. The institute takes all feedback seriously. Jocelyn Kaiser. (2016). “No-strings awards at NIH draw concern,” Science 352: 20. Jon Lorsch, “MIRA Status and Future Plans,” NIGMS Feedback Loop Blog, February 2, 2016. Peter Preusch, “MIRA Program Continues with New FOA,” NIGMS Feedback Loop Blog, March 10, 2016.